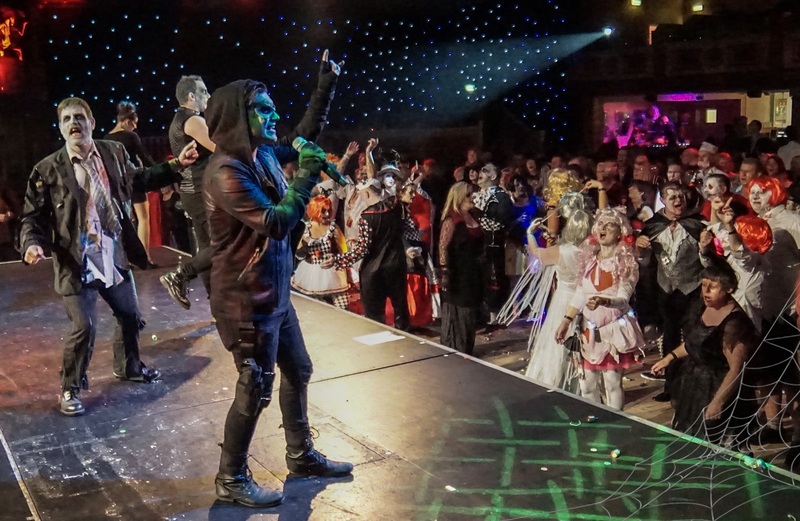 Get ready for a Thriller of a performance as the Atlas Theatre becomes a House of Fun and Potters Theatre Bring to Life some of the best Halloween-themed songs and monstrous hits from over the years. The cast will be dressed-up in their scariest attire as they sprinkle some Black Magic to perform The Final Countdown to Halloween night itself with some Superstitions thrown in along the way and guaranteed Hot Stuff as you see the Devil Woman and the Ghostbusters live on stage. Enjoy hits such as You Spin Me Round, Man with the Hex, Backstreet’s Back and Hungry Like the Wolf, as songs from the likes of Kings of Leon, Lady Gaga, The Searchers, Michael Jackson and Madness will all be given the Potters Theatre Company treatment by our incredible cast. With months of planning, weeks of rehearsals, days of costume fittings and hours in make-up, get ready to Walk This Way to a deadly Halloween Spectacular not to be missed. And remember that fancy dress is optional, so it is up to you if you want to dress to distress! *Drinks from 6pm until close of bars.